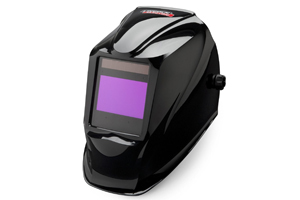 Lincoln Electric has been a well-known and trusted brand when it comes to welding helmets for years now. 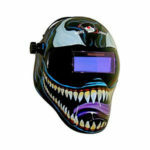 They have always been leading the industry with their high quality and durable welding helmets. 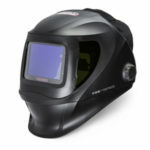 The Lincoln 2450 welding helmet is a perfect example of why I love this company's products so much. I've reviewed and used helmets with the 4C Lens Technology before and it's one of the reasons why I know I'd probably like the Lincoln 2450. 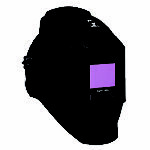 With the 4C Lens Technology, this helmet's clairty is improved greatly with 1/1/1/1 optical clarity. This upgrade also increases the viewing area with it being 3.82 in x 2.44 in. To make things even better the lime green tint on the helmet has been reduced, improving the visibilty. 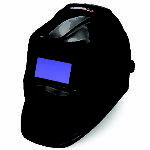 With all these amazing features, you can expect better welds and less train on your eyes with better comfort. Besides having great clarity, I was pretty surprised with how comfortable the Lincoln 2450 was, even after using it for long periods of time. The great comfort was mostly thanks to Lincoln's new pivot style headgear. Another thing I should mention is how with the 4C Lens Technology you can expect a lighter all around helmet. With it only weighing around 12lbs, there should be no issues with neck strain. I personally haven't had any issues with the helmet myself but I figured I'd at least mention any concerns I had when I researched it. It seems some people have had issues with the sensitivity, mostly due to a defective panel. Lincoln will replace it though with no worries. So this wasn't much of a concern for me and isn't something that has actually affected my helmet. Overall I honestly love the Lincoln 2450. Compared to the Lincoln 3350, it is a great cheaper alternative. Not only is it a great helmet but you can expect it to last you years and thanks to the 3 year warranty and great customer service you don't have to worry about having to find a new helmet for a long time.